We are in the business and renowned manufacturer Heat Exchangers for Petrochemicals to our valuable customers. These heat exchangers are supplied as per both customers specifications and drawing or custom-built based on process conditions. Our integrally finned tube heat exchangers can be used in refrigeration condensers as well as for oil cooling applications. 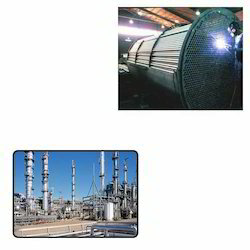 Looking for Heat Exchangers for Petrochemicals ?